Travelbag offers a wide and varied selection of fantastic Australia hotels in the South Australia & Adelaide area to meet all of your discernible needs. Whether you are travelling on a budget and require a cheap hotel, seeking something to accommodate the entire family in comfort, or treating yourself to a luxuriously appointed resort, Travelbag pledges to offer an Adelaide and South Australia hotel to suit everyone. Here is just a selection of our favourite and cheapest hotels in South Australia & Adelaide. Please use our search panel above to find your perfect choice. 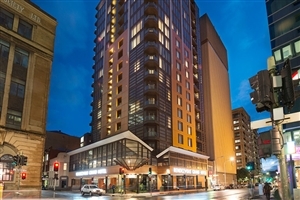 Situated along the bustling North Terrace region of the city of Adelaide, the Mercure Grosvenor Hotel is a modern hub of comfort and style that serves as an idyllic place for travellers to indulge in the numerous wonders found throughout the illustrious Australian city. Boasting a host of classic contemporary ... settings elegantly decorated with lavish furnishings throughout, the hotel strives to create a sophisticated yet casual environment to help ease guests into their holiday, presenting an in-house dining venue for travellers to better become acquainted with the exquisite tastes of Australia while each of the 181 fully fitted accommodations are all designed for business and leisure travellers to get the most out of this vibrant Australian city. Set within the heart of Adelaide’s bustling central business district, the Peppers Waymouth Hotel has all the convenience of being located in close proximity to a number of city highlights, from exquisite dining venues and boutique outlets to corporate offices and local landmarks, while also ensuring a wealth of comfort ... and style to any and all travellers looking to embrace the vibrant ambiance of this illustrious location. The hotel sets the tone for lavish holidays with its modern decor, plush furnishings and generous amounts of space offered by each of the 201 accommodations that serve as personal havens to both business and leisure travellers, while the in-house eatery is a great way to experience the flavours of Australia and the soothing facilities are the best way to unwind, making this an idyllic holiday getaway even the most discerning traveller can appreciate. 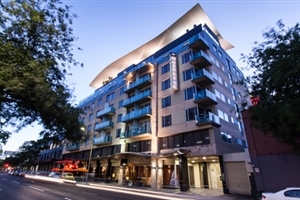 The renowned flagship of the Majestic series of hotels, the Majestic Roof Garden Hotel in Adelaide is a wonderful holiday haven that sits in the centre of the hustle and bustle of the city. Surrounded by such nearby highlights as the dining venues of the cosmopolitan Rundle Street, the designer ... outlets peppered across the district and the cultural boulevard of North Terrace, the hotel is ideal for those looking to immerse themselves in the vibrant ambiance of Adelaide, while the hotel itself is elegantly styled with lavish surroundings, spacious settings and a warm, welcoming atmosphere that ensures comfort to any and all guests. 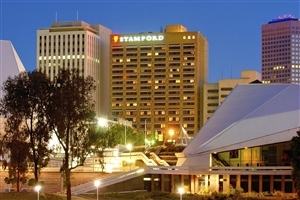 Sporting its very own eatery and a choice of three different accommodation styles, the hotel is a great choice for business and leisure travellers visiting Adelaide. Style and luxury come together at the Crowne Plaza Adelaide, a central hotel that accommodates for business and leisure travellers alike, offering a world of comfort with all the convenience of being right in the middle of it all. Consisting of modern amenities, plush furnishings and high quality facilities, the ... establishment is more than prepared to adhere to the most discerning of vacationers, striving to ensure a warm, attentive level of service to match the opulent setting. The hotel presents travellers with the opportunity to discover the nearby attractions of the city, such as the sports and cultural landmarks dotted around the district as well as the boutiques and cafes of Rundle Street, while the hotel itself features a number of soothing facilities, an elegant eatery and 300 fully fitted rooms and suites that each serve as their own private Australian havens. 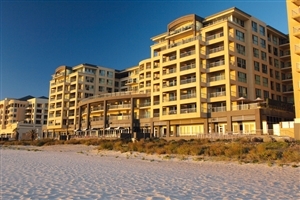 The Oaks Plaza Pier is a spectacular apartment-style holiday destination that has the privilege of an idyllic beachfront setting where it invites guests the world over to come and admire the gorgeous views of the ocean and beyond, combining natural vistas with world-class levels of style and comfort that should ... appease business and leisure travellers alike. The hotel presents travellers with the opportunity to uncover the surrounding highlights that can be found from the beachside to the city centre of Glenelg with numerous hotspots for the avid explorer to discover, while the hotel itself ensures guests will be completely at ease thanks to the attentive level of service, the many facilities on hand and each of the fully fitted suites and apartments where guests can enjoy the sights and sounds of the area from the comfort of their own private haven. 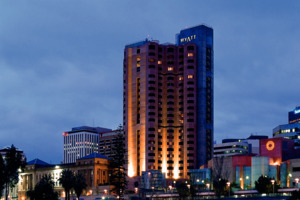 Located along the River Torrens in the vibrant city of Adelaide, the stylish InterContinental Adelaide is a luxurious city getaway where lavish furnishings and quality amenities combine with generously spacious settings and warm, attentive levels of service to ensure total traveller satisfaction for both business and leisure guests as they ... experience the many wonders of this magical Australian city. A short walk away from the cultural hotspots that are the North Terrace, the Adelaide Oval and Adelaide Festival Centre, adventuring travellers can uncover plenty of city hotspots during their stay, while those who simply wish to relax can get to grips with the many facilities on hand, the exquisite tastes of the in-house dining venues and lounge and ease back into the sumptuous comforts of one of the 388 guestrooms and suites that make this hotel as iconic and memorable as it truly is. 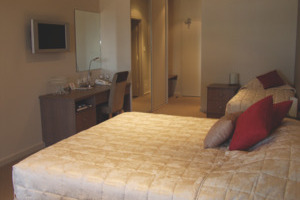 Settled deep in the heart of Adelaide’s cultural boulevard of North Terrace, the Stamford Plaza Adelaide is an idyllic place where guests can take in the many sights and sounds of the city while also enjoying plenty of modern comfort, great views overlooking key highlights of the area and an ... attentive level of service that is sure to appeal to any and all visitors. 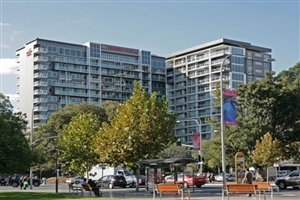 Situated within walking distance to such local landmarks as the Adelaide Convention Centre, Festival Centre and Adelaide’s historic parklands, visitors are more than welcome to explore and uncover the wonders of the city, while the hotel itself aims to please with its 335 lavishly designed accommodations, soothing amenities and numerous in-house dining venues. Sat nestled along the scenic foreshore of Kingscote on Kangaroo Island, the Aurora Ozone Hotel is a warm, welcoming holiday destination that enjoys its position amidst the commercial and business landmarks of the area, sharing the setting with shop outlets, eateries and nearby attractions. The hotel is unique in that ... it is comprised of varying sections; the original section styled in traditional Victorian decor that exudes an old world charm that contrasts with the contemporary style and feel of the modern and townhouse portions of the hotel to create a best of both worlds feel unattainable by other establishments. So whether it’s exploring the gorgeous landscape or dolphin watching from the in-house bistro, travellers are in for a relaxing treat at this Australian haven. 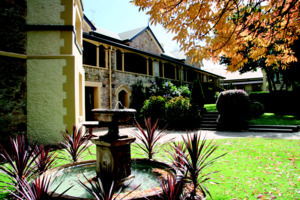 The Clare Country Club is situated in one of Australia's premium wine regions. It is less than 2 hours north of Adelaide, positioned in the Clare Valley hills, quietly away from the town centre, overlooking the lush green fairways of the Clare Golf Course and the tranquil Inchiquin Lake. ... The Clare Valley offers over 35 boutique wineries, art galleries, antique stores and the Riesling Trail - perfect for cycling or walking with many scenic picnic areas nestled amongst rolling vineyards along the way. The Clare Country Club is built in Victorian style and located adjacent the Clare Golf Course. Clare Country Club Restaurant Serving modern Australian cuisine. Open daily for breakfast lunch, and dinner. All rooms are tastefully furnished and equipped with all amenities. See the wonders of Australia in a truly special way at the Desert Cave Hotel in the heart of Coober Pedy. Indulge in the comforts and styles of the above ground accommodations or experience a unique stay in one of the underground rooms where visitors can embrace the cool air, ... the ambient atmosphere and enjoy insurmountable levels of peace unlike anywhere else. 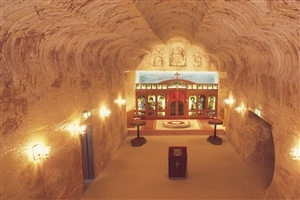 Spend your time at this soothing haven enjoying the facilities, attentive level of service and modern comforts or journey on one of many tours to discover the sights and sounds of Coober Pedy and the surrounding area on a trip that not only lets you sample true ‘dugout’ living but also showcases some of Australia’s most amazing highlights. Situated atop 113 acres of natural bush land on Australia’s third largest island, Kangaroo Island, the Kangaroo Island Wilderness Retreat is a wildlife wonderland that brings travellers closer than ever to the natural splendour of this ‘zoo without walls’ setting filled to the brim with flora, fauna and vistas that ... aren’t soon to be forgotten. Sporting a level of charm unmatched by most, the retreat serves as an idyllic haven that grants guests a perfect location to discover the wonders of the western portions of the island along with Flinders Chase National Park. Striving to welcome travellers and uphold the principles of environmental protection in unison, the resort proves that elegant decor and shiny comforts aren’t necessary for a wonderful time, and with so much to do in and around the retreat for explorers to enjoy, this is one location certainly worth considering. 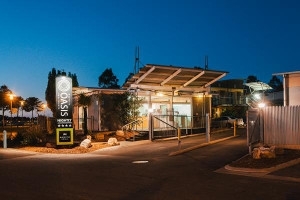 Situated three hours north of Adelaide in the coastal city of Port Augusta, the Majestic Oasis Apartments are a comfortable, welcoming holiday establishment that provides a variety of self-contained accommodations that showcase gorgeous views overlooking the shimmering waters of the Upper Spencer Gulf and the foreshore development. Known as the ... gateway to the outback, the surrounding area is filled to the brim with culture and various landmarks for guests to discover, from the sights of the Wadlata Outback Centre and Curdnatta Art Gallery to the bustle of the main shopping district and foreshore area, while the 75 apartments themselves feature an inviting swimming pool and plenty of comfort throughout each of the accommodations to suit any and all travellers as they discover South Australia. 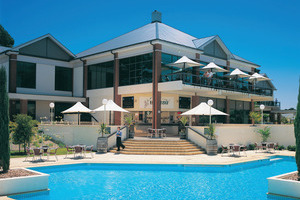 The Grand Mercure Mt Lofty Hotel is superbly positioned overlooking Piccadilly Valley in the Adelaide Hills wine region. 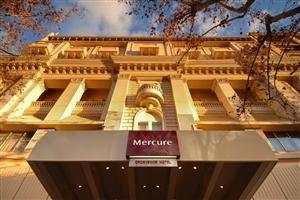 The Grand Mercure boasts a prime location whilst also being only 20 minutes from the Adelaide central business district. This historic country house has been rejuvenated into a fresh boutique-style hotel where ... you can work, relax, celebrate or play. Deeply enriched in both culture and flavour, the Novotel Barossa Valley serves as a gateway holiday destination to a world of heritage and gourmet delights. 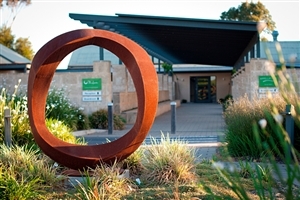 Nestled amongst the fine wineries and vineyards of the Barossa Ranges and Jacobs Creek, the hotel provides a warm level of service along with spacious ... settings and quality facilities to travellers looking to delve deep into the serene ambiance of one of Australia’s finest wine valleys. Located adjacent to the Tanunda Pines Golf Course as well as a number of wine facilities, explorers are welcome to discover the valleys and create their own memorable journeys, while the in-house facilities range from fun-filled activities to soothing amenities for all to enjoy, a dining venue to bring the fine tastes of Australia to the most discerning palate, and 140 beautifully designed guestrooms and suites to choose from. 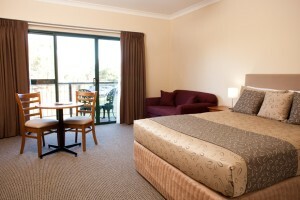 With all this and more to look forward to, this hotel is perfect for guests the world over when considering Australia. Located at the foot of the Rawnsley Bluff with views that reach out over Wilpena Pound, the Rawnsley Park Station is a warm and welcoming hostel that gathers together a myriad of modern comforts and seamlessly combines them with the awe-inspiring vistas found throughout the Flinders Ranges to create a ... setting that needs to be seen to be believed. 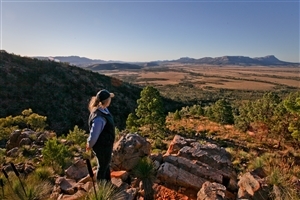 Adjoining the Flinders Ranges National Park and all the wonders within, the hostel is ideal for those looking to get up close and personal with the splendour that runs across the surrounding landscape on tours and treks, while the hostel itself is a great place to start and end each day amidst the utopian beauty of the Flinders Ranges. Sharing the island with an abundance of native flora and fauna, the Southern Ocean Lodge is a lavishly designed haven that sits looking out over the beauty and splendour of Kangaroo Island. 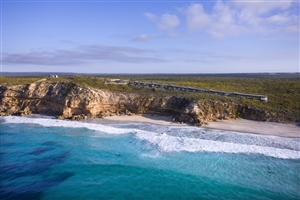 Featuring some of the most memorable and stunning vistas in all of Southern Australia, this natural paradise provides ... plenty of discovery opportunities for those looking to immerse themselves in the serenity of the island, from nature walks and the exploration of Flinders Chase National Park to private charters across the azure waters and culture visits with local artists. The sophisticated lodge serves as a private wonderland decorated with chic and elegant furnishings to compliment the generous amounts of space that even the most discerning guest can appreciate, while the in-house dining venue brings all the flavour of Australia to the palate and the 21 fully fitted suites ensures comfort through and through, guaranteeing a fantastic vacation amidst the wonders of Australia. Set amidst the natural splendour of the Barossa Valley, where vineyards and roving splendour combine to make a setting of peace and beauty, The Louise serves as an opulent hotel designed with inspired decor where travellers the world over can come and experience the culture of the surroundings along with ... gorgeous vistas from the privacy of their own personal haven. Explorers will enjoy the opportunity to discover the local highlights which range from sunrise picnic adventures to wildlife spotting through bush tracks and more, while the hotel itself offers a sumptuous dining venue where the flavours of Southern Australia can be experienced firsthand, numerous amenities to relax and soothe those looking to unwind, and a selection of suites to choose from, each lavishly fitted with only the most comfortable furnishings to ensure traveller satisfaction from start to finish. 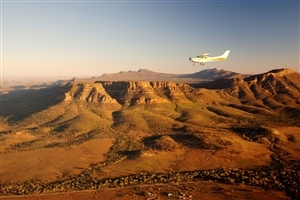 Get a taste of Australia’s natural outback with a stay at the Wilpena Pound Resort, a warm and welcoming getaway that invites guests to uncover the beauty and splendour of some of the region’s most wondrous settings. 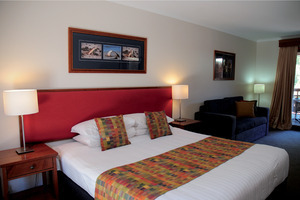 Located along the banks of Wilpena Creek, the resort is situated perfectly so ... as to showcase the abundance of flora and fauna that call this area their home, and boasting a total of 60 comfortable rooms to choose from, guests can discover what makes this area so amazing while also being treated to many modern luxuries. Explore the nearby Flinders Range, choose to sleep beneath the stars at the camp grounds or take it easy with the facilities within the resort, no matter what you decide you’re in for an unforgettable time.